Fiji Airways Fijian Drua head coach Senirusi Seruvakula aims to take advantage of playing the first two games at home when the 2018 Australian National Rugby Championship kicks off next week. 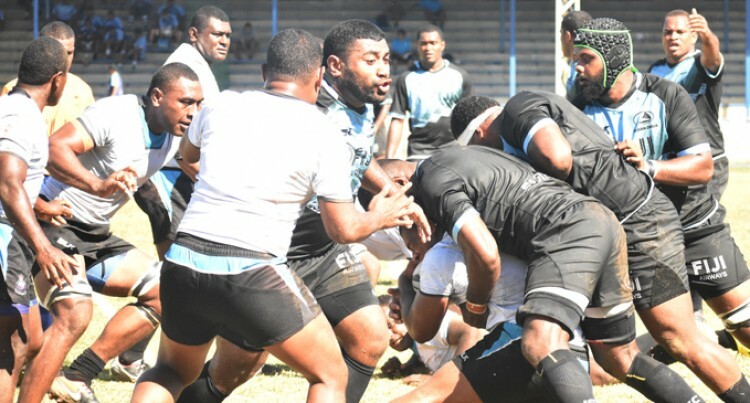 The Fiji Airways Drua host the Melbourne Rising at Ratu Cakobau Park, Nausori next Saturday and Brisbane City at Churchill Park, Lautoka on September 8. The side rounded up their second week of training with a game against Police at Prince Charles Park, Nadi yesterday. “We tried out our combinations and how we play our pattern,” he said. “It is a selection for next week’s game, so everyone was fighting for a position. “They have to fight for it and we will name the team before they return to camp on Wednesday. “It will be a much better team than last year. It is going to be tough in our first game against Melbourne Rising. We need to keep our discipline and focus on the job next Saturday. The final will be played on October 27.